Josh Udesen is an observant passerby for all things under an open sky. His art is simply a reflection of what he loves to do, how he sees the world and the places spends time. 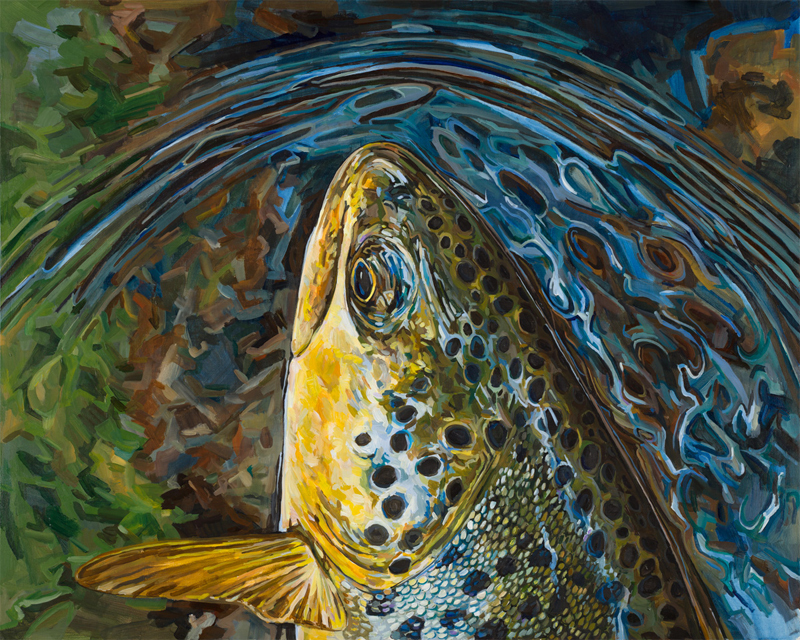 Between his youth in the Lake Superior backwoods, a decade guiding anglers in Alaska and Oregon and a wanderlust leading him to explore much of the globe, there is much to inspire his art. At some point the observations and private conversations in his head became his art, translating into a genre others seemed to appreciate and enjoy. 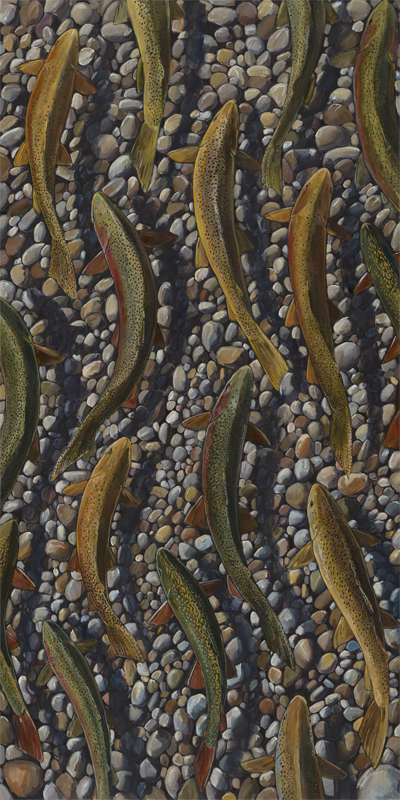 His primary subject matter is fish because of the diverse color palette they represent and the dynamic ways they can be portrayed. 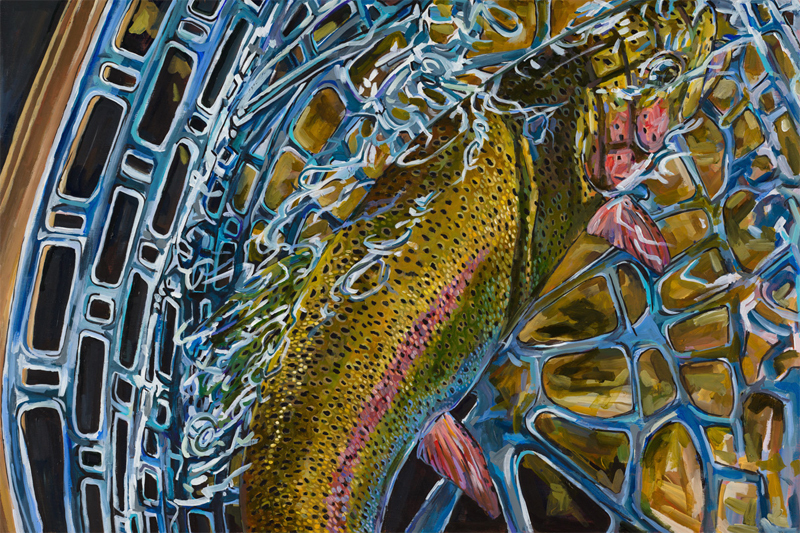 He finds the colors of fish are nature’s most adherent proponents of color theory and when examined they can expose the complexity found in the commonplace. As simple as fish are Josh tries to capture the moment in time like a snapshot of what you do not notice until you slow down and truly observe. Primarily self-taught, he has always possessed a love of drawing and painting, but never considered art as a career. He works primarily with acrylic paint, enjoying the speed they dry, the ability to layer and he prefers to paint on wood panels. Since 2009 he transitioned his art from a hobby to a profession. Although his art is growing, he still juggles being a part time high school history and comparative religions teacher. 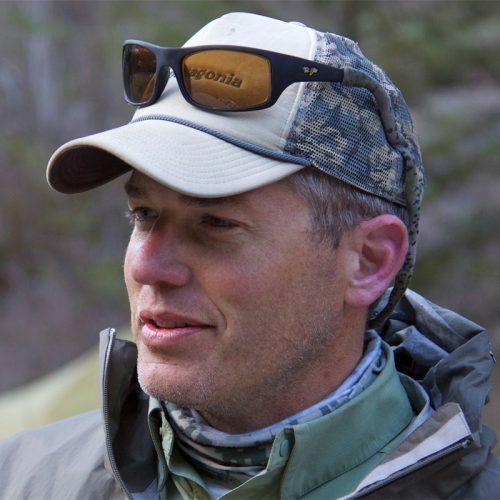 He lives in Boise, Idaho with his wife and nine year old daughter and spends as much time as possible exploring the Idaho outdoors and occasionally wetting a line in search of trout and steelhead.